The Australian government has announced a $500 million investment to improve Australia’s space-based intelligence, surveillance and reconnaissance capabilities to support Australian Defence Force operations at home and around the world, this according to a news report in Defence Connect's online infosite. The $500 million investment will improve the Australian Department of Defence's access to commercial satellites to provide information to government agencies. Minister for Defence Marise Payne and Minister for Defence Industry Christopher Pyne said this information will be used to support Australia’s defence priorities, including defence operations, border protection and humanitarian missions. Minister Payne said that Defence Project 799 was introduced in the 2016 Defence White Paper to enhance Australia’s geospatial-intelligence capabilities. Phase 1 of the project will provide Australia with direct and more timely access to commercial imaging satellites to support a wide range of Defence and national security activities. A total of $130 million will be spent on support contracts over the 13 year life of the project, providing commercial opportunities for Australian companies — including in the Northern Territory and South Australia. 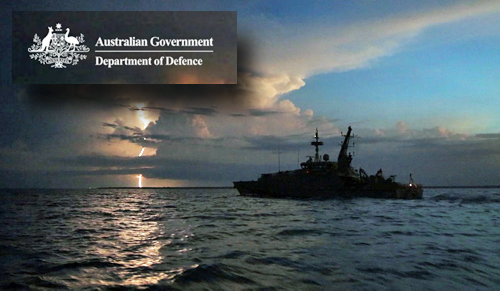 This latest investment in Australia's satellite capabilities comes after Minister Payne announced the extension of the Department of Defence’s C1 satellite partnership with Optus and after BAE Systems Australia secured a $30 million contract to deliver a major capability improvement to the Royal Australian Navy with the upgrade of maritime satellite communications terminals.